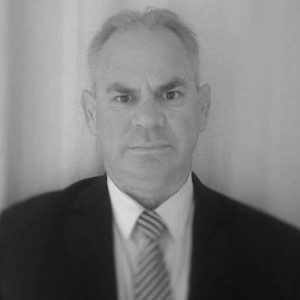 With a career spanning 34 years managing and leading teams within Australian Law Enforcement, Defence, Security, Intelligence and Risk Management roles, Peter has extensive experience in Intelligence Collection & Assessment, and undertaking and managing complex investigations relating to criminal, misconduct, corruption, national security and counterintelligence matters. As a member of the Australian Federal Police, Peter was a member of the AFP Hostage Negotiation Team and the AFP Counter Terrorist Team. Peter has undertaken roles as Senior Manager and Director of Fraud and Corruption Prevention, Learning and Development, Security, Integrity, Criminal and Misconduct Investigations, Employment Screening and Records Management within the Australian Taxation Office, Australian Protective Service, Australian Crime Commission and Child Support Agency.